It's not often a conversation about the top teams in the Western Conference each season doesn't include the San Jose Sharks. They certainly were in the discussion last season, with two strong forward lines, a mobile defense and a goalie with a Stanley Cup ring. However, inconsistencies and injuries plagued them and it was a scramble for the Sharks to make the playoffs as the seventh seed. They return most of that same group intact and healthy to start the 2012-13 season. Here are six questions that go along with that roster. 1. Is the window closing? -- Since the Sharks acquired Joe Thornton in November 2005, they've been a serious Stanley Cup contender. But that was almost seven years ago, and their core players aren't getting any younger. Thornton turned 33 last month and will be starting his 15th season. Patrick Marleau turns 33 in September and will be playing his 15th season. 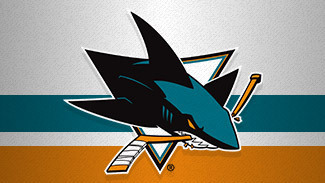 Martin Havlat is 31, defenseman Dan Boyle is 36, and newcomer Brad Stuart and fellow defenseman Douglas Murray are 32. That's a lot of age in some key areas of the team. Can all those legs stay fresh for a long playoff run? 2. Where's the youth? -- Trades during the past few years for Dany Heatley, Dan Boyle and Brent Burns cost the Sharks young forwards Milan Michalek and Devin Setoguchi, as well as top prospect Charlie Coyle and first-round picks in 2009 and 2011. In fact, since drafting Logan Couture in 2007, the Sharks have had two first-round picks -- Coyle and 2012 first-rounder Tomas Hertl. Their leading rookie scorer last season was Andrew Desjardins with 17 points. Having one of their young prospects -- forward Freddie Hamilton or defensemen Nick Petrecki or Taylor Doherty -- win a roster spot would add some youthful enthusiasm to the team and perhaps add a missing ingredient to the locker room. 3. Can Martin Havlat stay healthy? -- How important was Martin Havlat to the Sharks? They were 25-11-3 with the high-scoring forward in action, and 18-18-7 without him. So when Havlat, acquired last June to add speed and skill to the lineup, missed three months with a torn hamstring, the Sharks fell down the standings while going 17-15-7 between Dec. 15 and March 17. When healthy, Havlat knows how to create offense -- he has 539 points in 660 NHL games. However, he's played more than 75 games twice in 11 seasons and more than 70 games five times. A healthy Havlat scoring at his usual pace would go a long way toward any success the Sharks have this season. "Marty is an important player for us," general manager Doug Wilson told NHL.com. "If you look at our record with him in the lineup, it was very good. We missed him. … Having him back 100-percent healthy will make a big difference. He's trained all summer and looks tremendous. He's an important part of this team." 4. Who makes the penalty kill better? -- Since killing off 85.0 percent of man-down situations in 2009-10, the Sharks' penalty killing has plummeted to 79.6 percent in 2010-11 to 76.9 percent last season, second-worst in the League. The Sharks were only the seventh-most penalized team last season, which eased the problem slightly. However, teams with sub-80 percent penalty-kill success rates generally don't make the playoffs, making an upgrade in this part of their game an imperative. Wilson said he wants the team to get back to being more aggressive. The addition of Adam Burish should help, as should a healthy Michal Handzus, who played through a groin/hip injury. And adding associate coach Larry Robinson could be the biggest boon. He helped oversee the Devils' League-best penalty kill last season. 5. How will the new assistants help? -- Coach Todd McLellan rebuilt his coaching staff this summer, adding Robinson and assistant coach Jim Johnson to holdover Jay Woodcroft. Robinson, who won six Stanley Cups as a player and three more as a coach with New Jersey, should be an especially important asset for McLellan. While he'll mostly focus on the defense and the penalty kill, he'll draw a level of respect few assistant coaches in the League can match. As Wilson said in announcing the hiring, "There's nobody in this business I respect more as a player, as a coach, and as a person than Larry. It's a very exciting day for our organization." 6. Who else can help? -- The Sharks' top two lines -- which should include some combination of Thornton, Marleau, Havlat, Couture, Ryane Clowe and Joe Pavelski -- will contribute the majority of the goals this season. But Wilson said something he hopes to see more of this season is balance, meaning someone from the group of bottom-six forwards will have to step up and supply support scoring in the range of 12-15 goals. "You take a look at the fourth line from New Jersey where you've got [Ryan] Carter, [Stephen] Gionta and [Steve] Bernier," Wilson said. "Look at Los Angeles, [Jordan] Nolan and [Dwight] King came in, [Colin] Fraser and [Trevor] Lewis. You have to believe in it, utilize all your players, understand that everybody on your team is important. We believe in that. We think that your big guys have to be top players and they have to play well, but everyone on your team is important."